TomTom Navigator has gone through three incarnations over the past three years. TomTom then decided to move everything to a core navigation engine which unfortunately has delayed the PPC release. 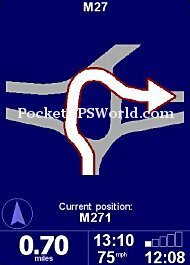 Since then we've seen the core navigation engine on the Palm OS, GO and SmartPhone's. 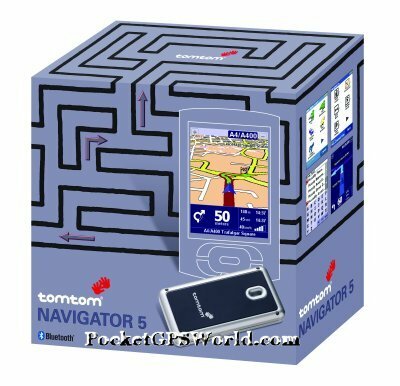 Recently the Pocket PC has caught up with the release of the HP Navigation Kit and now TomTom are ready to release TomTom Navigator 5. As expected and forecast for well over a year, TomTom Navigator 5 is running on the core navigation engine. Why a Core Navigation Engine ? It's simple. Why re-write 4 or 5 different versions of your application on multiple platforms requiring multiple tools, when, in-fact you can use a standard processor call set and program the application for one operating system. That's what TomTom have done here using the ARM code set. 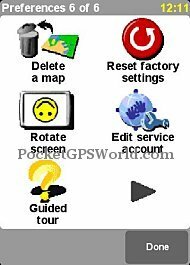 This review covers both TomTom Navigator 5 for the Pocket PC and TomTom Navigator 5 for the Palm OS. 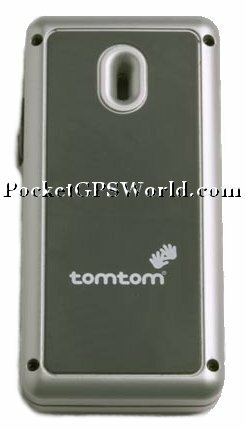 This review does not cover the new TomTom Bluetooth GPS Receiver or any other hardware at the time of writing this review, hardware reviews will come later when we receive hardware review samples. 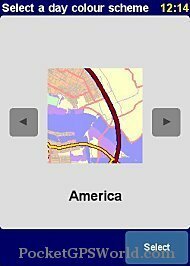 TomTom currently don't list which Pocket PC's are supported by Navigator 5. A comprehensive list will come later. Note: No PDA is included in this package although retailers will no doubt be offering bundles with compatible PDA's. TomTom Navigator 5 comes complete with the New TomTom Bluetooth GPS Receiver. 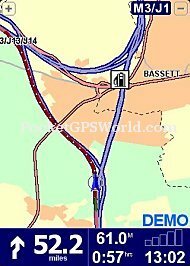 This uses the latest SiRF III chipset and TomTom suggest that it should keep powered up for most of the day. All the required software is supplied pre-installed on the SD Memory Card. 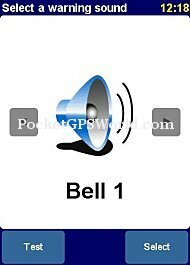 As soon as you insert this into your Palm or Pocket PC the installation will auto-run and you will be ready to use the application in seconds. No need for access to a PC to perform the installation here! TomTom Navigator 5 uses the common platform navigation engine. Palm and GO users will already have experienced this navigation engine so you should be right at home. 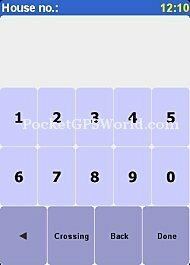 For Pocket PC users, the display will look a little different both in terms of menu structures, but also the Safety Screen customisation. The navigation display presents all the information you require on a single screen. 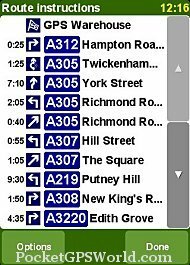 In the top 4/5ths of the screen is the map view and at the bottom is the information bar which displays next turn information, distance to next turn, distance to destination (DTD), estimated time of arrival (ETA) and remaining journey time. Below this is an information bar which provides the name of the road or street you are currently on. 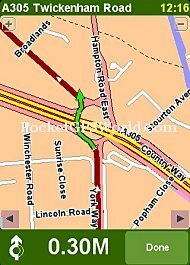 One thing TomTom Navigator 3 users may also notice straight away is the turn directions on the Safety Screen are much richer showing the correct turn rather than an approximated one. TomTom have done a good job on the menu system, making it easy to select using a finger or a stylus. Using your finger when on the move can be a lot easier, but will obviously put fingerprints and smudges on your PDA screen. Existing TomTom Navigator Palm users will notice a change here on the menus. 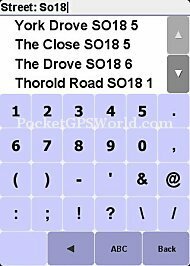 TomTom have included an Advanced planning mode, Itinerary Planning mode, TomTom Weather, Downloads, Call Number just as a few enhancements that you'll notice in TomTom Navigator 5. 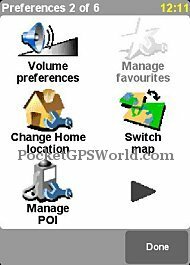 Some of these features were already available in TomTom Navigator 3 for the Pocket PC like Itinerary, ability to browse a route etc, but weren't available on the new core navigation platform engine until now. Creating a destination is simple with TomTom Navigator 5. 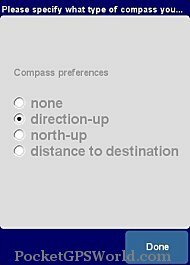 Simply select the Navigate To menu option, Advanced Planning or Itinerary Planning and you can then start adding your destination address. Using the keypad to spell out letters like you would when texting by pressing 5 three times to get L allows you to type in alphabetical and numerical addresses. 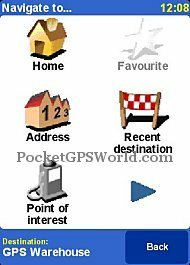 The first Navigation Destination screen is identical to the original TomTom Navigator 5 version, but the second screen shot above will show something different. Yes! 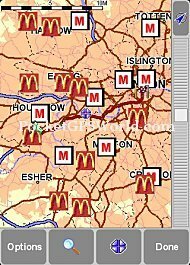 That's Postcodes! 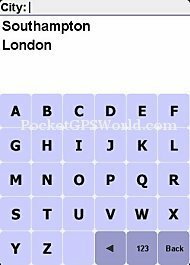 No, not 5 digit postcodes but 7 digit UK postcodes! In-fact, UK users andNetherlands users will rejoice here as full postcodes are supported in these countries! 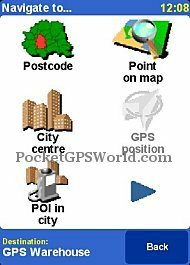 TomTom Navigator 5 also adds the ability to navigate to the centre of a town (City Centre) and also now to a POI in the City of your choice. 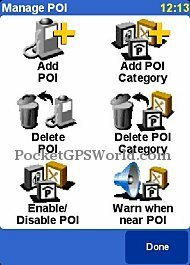 Drilling down through the categories you'll also see your custom POI groups you may have loaded to the TomTom Navigator 5 directory. 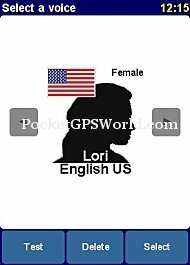 As with previous TomTom products, voice instructions are clear and concise using Ogg Vorbis files that have been designed especially for loud vehicles. Accessing the preferences sub-menu provides you with a plethora of options to choose from. 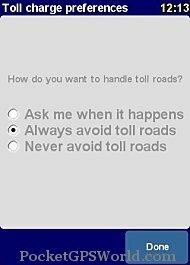 Planning Preferences, Toll Charge Preferences are new features across the board. This also allows for the London Congestion Zone and other toll roads to be avoided en-route. 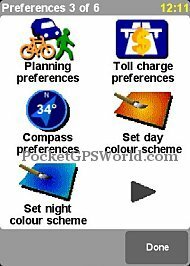 Compass and Status Bar Preferences are not new to TomTom Navigator 3 users on the Pocket PC, but it's a welcome edition to see these features added back in to the core navigation platform engine. We'll go into depth in these features a little later. Another new feature is the Show/Hide Tips which is a good feature for newbies allowing you to receive pop-up tips on-screen when performing specific functions. A new feature in TomTom Navigator 5 is Advanced Planning and Planning Preferences. 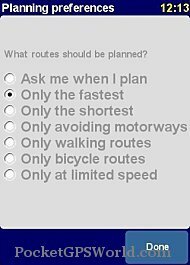 It allows you to plan a route before you leave the house. 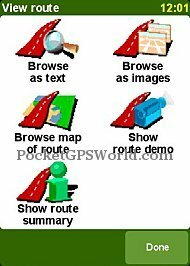 You can select to browse the route by text (screen shot 2 below), browse the route by images (screen shot 3 below). 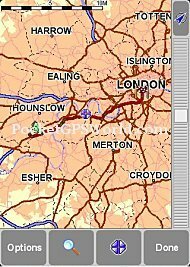 Browse map of route (screen shot 1 below), Show route demo (screen shot 2 and 3 below). 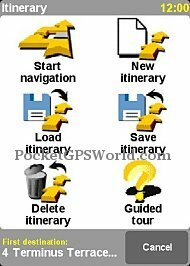 Another new feature seen in TomTom Navigator 5 is Itinerary Planning. 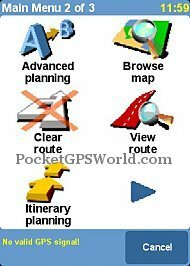 First seen on TomTom Navigator 3 and added onto TomTom GO and Palm OS, now sees Itinerary Planning on TomTom Navigator 5. 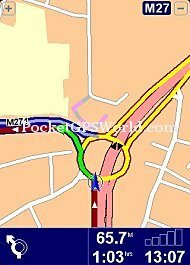 This simply allows you to create multiple destination points. 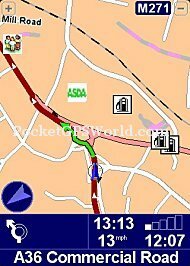 A new feature in TomTom Navigator 5 is the ability to show the Compass on the main screen display. 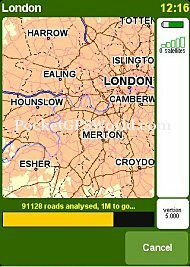 Many TomTom Navigator 3 users will have already experienced Traffic. Traffic is also now available on TomTom Navigator 5 as well as TomTom Weather and extra Downloads. 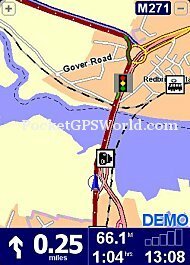 Providing you have created a TomTom Navigator 5 account and are paying the subscription fee you will be able to access these services over a GPRS GSM connection. 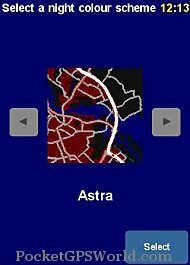 The voice prompts used for navigation can be changed by selecting either a different language, or a different person within your local language. 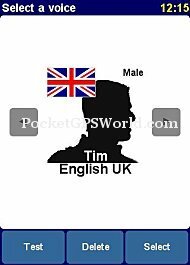 For UK users, Tim and Jane are the default voices available. 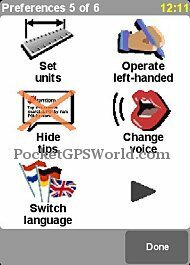 As previously stated, TomTom have now gone for the Ogg Vorbis format which gives very loud and clear and concise verbal instructions at MP3 quality (if not better) and at a much smaller size! 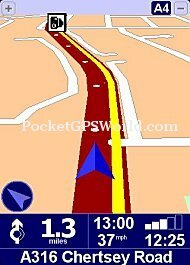 Pocket PC users of TomTom Navigator 3 will have been used to no POI Warning functions. 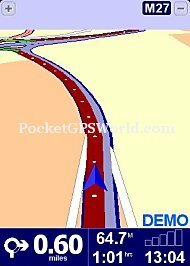 In-fact you had to wait for third party developers to code an application using the TomTom Navigator SDK kit to create products like CheckPOInt, POI-Warner and GPSAssist to name a few. Well, TomTom have changed this and have been listening to common public feedback and have now integrated their own warning system into the core navigation platform engine, so this is now seen in TomTom Navigator 5, GO 5, and Mobile 5. 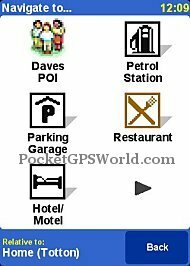 TomTom Navigator 5 comes with a huge array of pre-installed POI's including petrol stations, car parks, railways stations, cash points etc and has full support for all the 3rd party POI's available for TomTom Navigator. 1. Load your chosen POI file into the Map Folder on your storage card using Explorer. 2. Start TomTom Navigator 5. 3. Access the 'Maintain POI' menu and enable the POI. 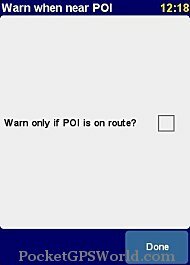 All that remains is for you to select 'Warn when near POI', select the distance before the POI that you wish to receive an alert and choose from the supplied warning sounds. 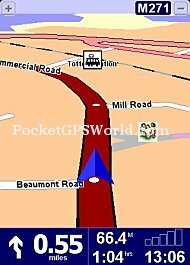 The supplied sound choices are limited and cannot currently be changed by the user, TomTom will change this later with their TomTom Plus service, or you can use some of the customised voices we have created here at PocketGPSWorld.com. Secondly all you need to do is download the relevant ZIP file from our TomTom POI Page. Open the ZIP file and extract the OV2 and BMP file to a directory on your C: drive. Once extracted, connect your Pocket PC with the ActiveSync cable/cradle or take out the SD card from your Pocket PC or Palm and place it in a Storage Card Reader. If you have ActiveSync installed (PPC), it should pop up within a few seconds and show a green connection icon. 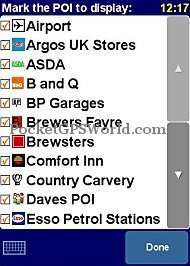 Simply click EXPLORE from ActiveSync on the PC, browse to your \Storage Card and then the country map directory (e.g. \Great Britain) and copy the corresponding BMP and OV2 files that you extracted earlier to this country directory. If using a Storage Card reader, just copy the contents to the country directory on the storage card. If you don't know how to copy files from one Explorer window to another, then either read your Windows Manual, click START | HELP or ask someone to do this for you. Voila, that's it. 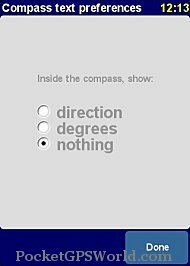 They're now in TomTom Navigator 5. 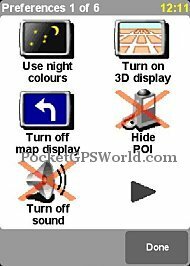 Simply restart TomTom Navigator 5, go into the Manage POI screen and enable the new POI (it will show on the list) and likewise if you've downloaded the safety camera database you may want to go into the Manage POI screen and then Warn When Near POI and configure this. 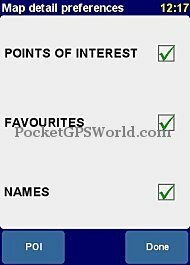 Currently there still is a limited choice of sound files for POI Alerts and TomTom haven't expanded upon this or created a feature to allow you to customise them with Ogg Vorbis files. TomTom Navigator 5 is a good product. It follows on from it's predecessors. 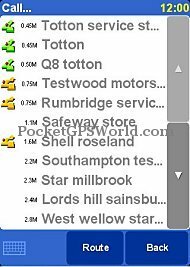 TomTom have added a host of new features previously seen in TomTom Navigator 3 to TomTom Navigator 5 so existing TomTom Navigator 3 users may not see too many new features apart from the GUI updates. 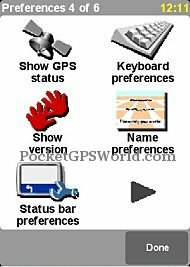 Palm OS users however will see many more new features compared with Palm OS 4.40 version. There are no NEW exciting features that haven't been seen before, so no LIVE tracking features yet that CoPilot current exhibits. 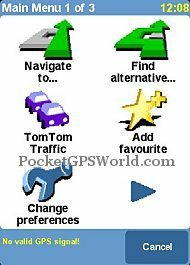 Palm OS users will see the most advantage in upgrading to TomTom Navigator 5 in terms of new features, but Pocket PC users will a much better and richer GUI. 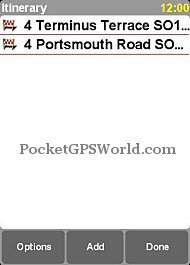 TomTom Navigator 5 and Plus pricing have currently not been set at the time of writing this review. 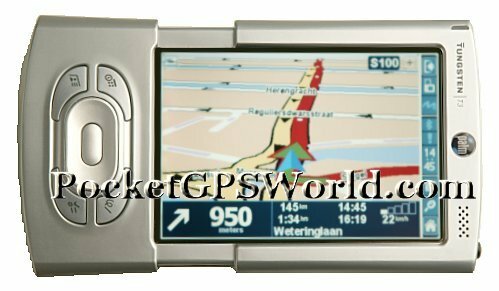 TomTom Navigator 5 will be in available in Spring 2005. There's been a bit of conflicting information regarding the upgrade. TomTom first released their press release saying free upgrades for everyone to V5. 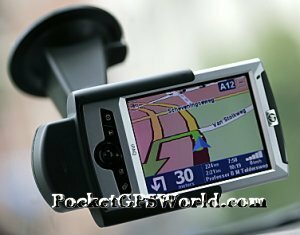 Since then TomTom have retracted the Press Release and changed their website several times, the latest incarnation reads "European owners of TomTom NAVIGATOR 2 and 3 will be offered the possibility to upgrade to the newest version of TomTom NAVIGATOR 5. The upgrade-program will start in May 2005. 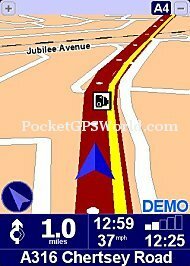 Owners of TomTom Navigator 2 and 3 will receive our newsletter with more details about how and when to upgrade. You can also check our website." 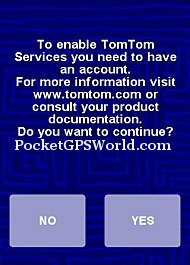 However, TomTom did announce to the PocketGPSWorld.com team at CeBit that the upgrade for existing 2.x and 3.x customers would be at a charge of 49 euros. However no official statement has been made in form of an updated press release, so please do not accept this as cast in stone.